The RLJL ServiceOrder Integration Server™ (SIS) is an innovative and powerful system that completes the flow-through provisioning of your network. The SIS's functionality consolidates the workflow process in all departments, from customer service to the central office, to allow the Telco staff to focus on other projects and priorities. SIS is capable of receiving service orders from the order generating system, interrogating the orders, and performing the appropriate action on any given switch, voice mail, or other peripherals to complete the order and report back to the billing system. Can automate cutoffs and restores. 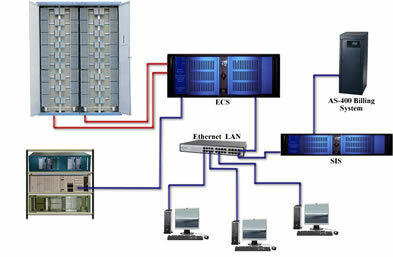 Capable of processing orders in ISP systems such as mail servers, radius servers, routers, DSLAMs, E-mail systems, etc. Requires no customization from billing company. Sends information from service order to the ECS for provisioning. Returns provisioned service order from SIS to billing system for completion. Can provision windows based GUI systems which have no command-line interface. Will interface to all peripherals including GUI or HTML. Interrogation of service order generated by billing system. Flow-through provisioning of orders across network. Capable of provisioning most peripherals. Capable of processing any formatted data. Reduces switch to billing system variances. Click here to contact dscTech for more information on the ServiceOrder Integration Server™. Copyright © 1996-2017 dscTech, Inc. All rights reserved.